A post on the official Google AdWords blog has revealed that beta testing has begun for the addition of images to campaigns. "Advertisers understand that sometimes it's easier to 'show' rather than 'tell' when promoting a business. As search ads continue to evolve, we want to make it easier for you to do both. Today we're announcing the beta launch of image extensions, which will allow you to add new visual elements to your search ads". Users looking to include an image with their campaign will have to provide sufficient proof to Google that they own the rights to the image, and pictures will also be reviewed to ensure that they do not contain adult or offensive material. Google also states that images will not appear for every keyword, but will be filtered to those where a searcher may expect a more visual set of results. It appears that searching for "fine dining meals" would be likely to contain results with an image, with "nearby restaurants" less likely. The introduction of images is the latest in a series of changes to Google AdWords in recent months, with the recent announcement of Keyword Planner, a feature which AdWords hopes will make the process of planning and researching keywords considerably more streamlined and efficient. 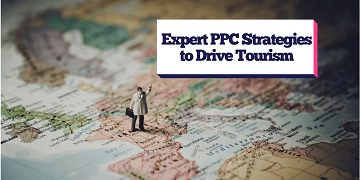 Megan McDonald, PPC client manager at theEword commented: "The examples provided by AdWords seems to suggest that the industries expected to make the most use of this new introduction are fashion, travel, food and other areas where visuals are extremely important. However, if images within AdWords prove to be successful, a pictorial accompaniment with an AdWords campaign could become commonplace. It will be interesting to see if the inclusion of an image has a significant influence on the impact of a campaign, and whether or not this new feature truly takes off".